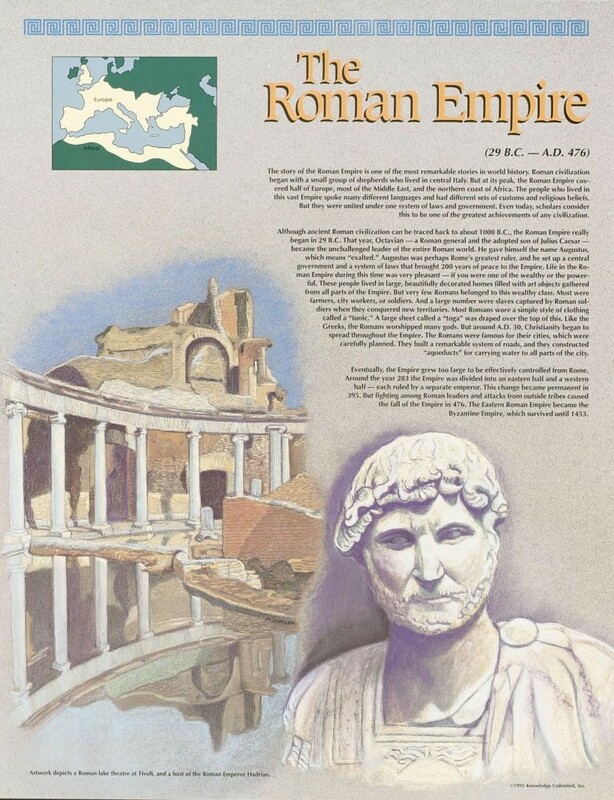 This educational poster of the Roman Empire features artistic renderings of an ancient Roman theater, and a bust of the Emperor Hadrian. 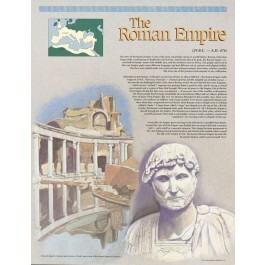 It also contains a concise and well-explained background history of the Roman Empire, its rise and fall, as well as a small map that shows the extent of the Empire during its prime. The ancient Romans were famous for their carefully planned cities. They also built a remarkable system of roads, and acqueducts for water. But they are perhaps most noted for their development of a system of laws and government that united a diverse and vast empire.